Local bands and youth groups provide entertainment on stage. Onna Village on the east coast of Okinawa is best known as a municipality with the biggest concentration of resorts on Okinawa. It’s also the home to the Okinawa Institute of Technology, OIST. Tuna cutting show draws attention to local fishing industry. The 18th annual Onna Village Industry Fair showcases the other business activities of the community. The fair opens its gates this weekend at Onna Village Fureai Hands-on Experience Center at 5973 Aza Onna, Onna Village. It runs from 11:00 to 17:00 on Saturday and 10:00 to 17:00 on Sunday, and focuses on local agricultural products and seafood. Regional goodies produced in Onna Village will be on sale during the event, and local bands take care for entertainment. Admission to the fair is free. A special event is an all-you-can-stuff vegetable sale will be held at 16:10 on Saturday that costs ¥100 to participate. 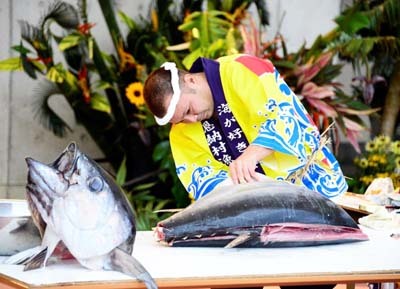 A tuna filleting show is held at 16:00 on Sunday. As there is little parking at the venue, temporary parking areas are set up at Onna Elementary and Junior High School grounds near the event site, with free shuttle busses running from 9:00 to 17:30. 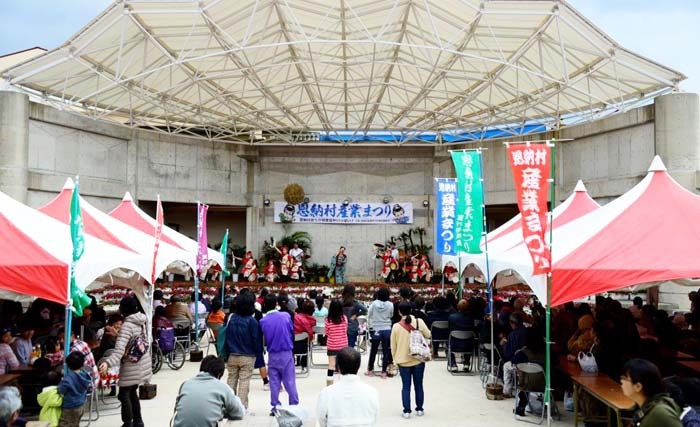 During the fair, traditional performing arts are on stage at the nearby Yuuna Hall starting at 17:00 on Saturday and 14:00 on Sunday. Tickets to the show cost ¥1,500 in advance.